Who would have thought that mat board pieces from work would turn into a teaching tool for kids. The letters are made from rubber stamps and embossing powder any scrapbook enthusiast will know what I’m talking about. Please feel free to contact me for questions about how this is done, and if you need any colourful mat board pieces I have a lot to share, just ask if you’d like some. 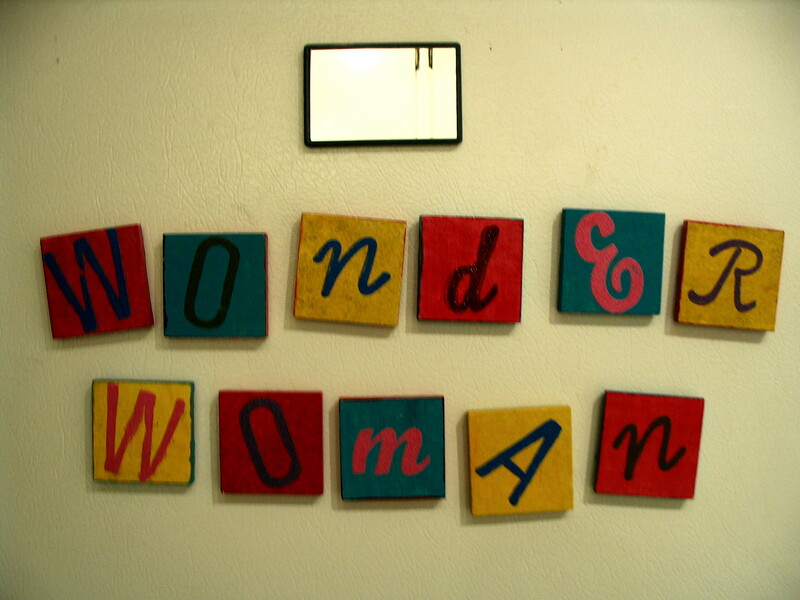 These are 2″square tiles each hand painted then the letters have been embossed on. That is a little mirror on the top of WONDER WOMAN just so you can see who you’re talking to. 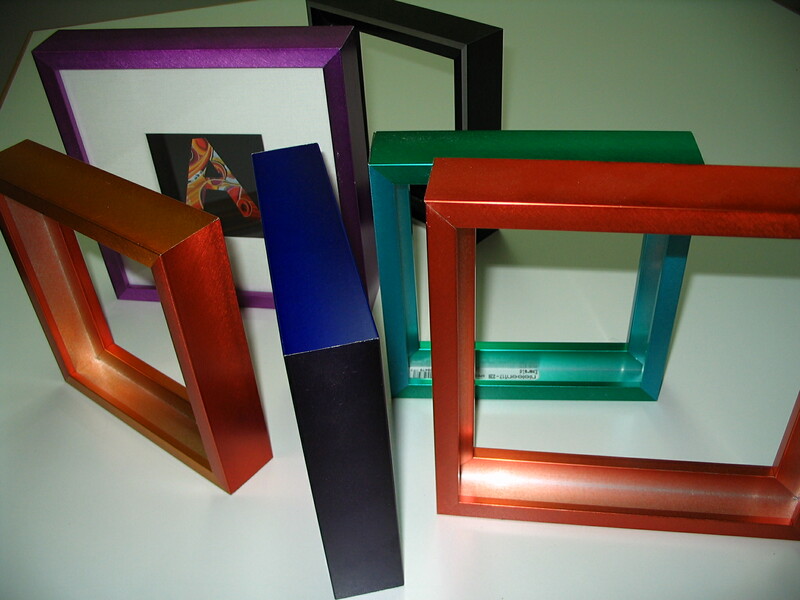 My next project is to fill these colourful picture frames with original lino cut prints of the alphabet. Stay tuned. 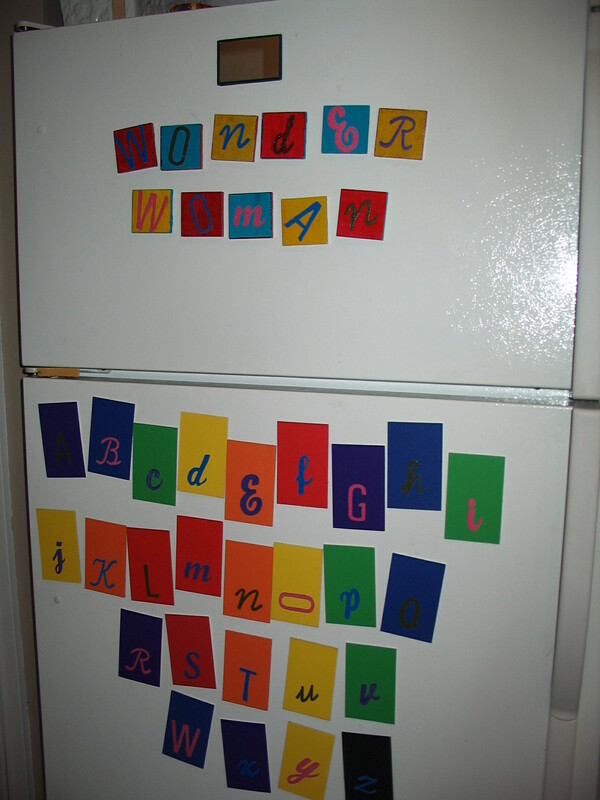 This entry was posted in Art Education, Art Supplies, Picture Framing Design and tagged alphabet, fridge art, frige magnets, magnets, projects for kids, refridgerator. Bookmark the permalink.